We're sorry. There are currently 1427 items available in stock. Transform your shower into a home spa experience each time you luxuriate in the silky texture of Lavender Apple cleansing shower oil. 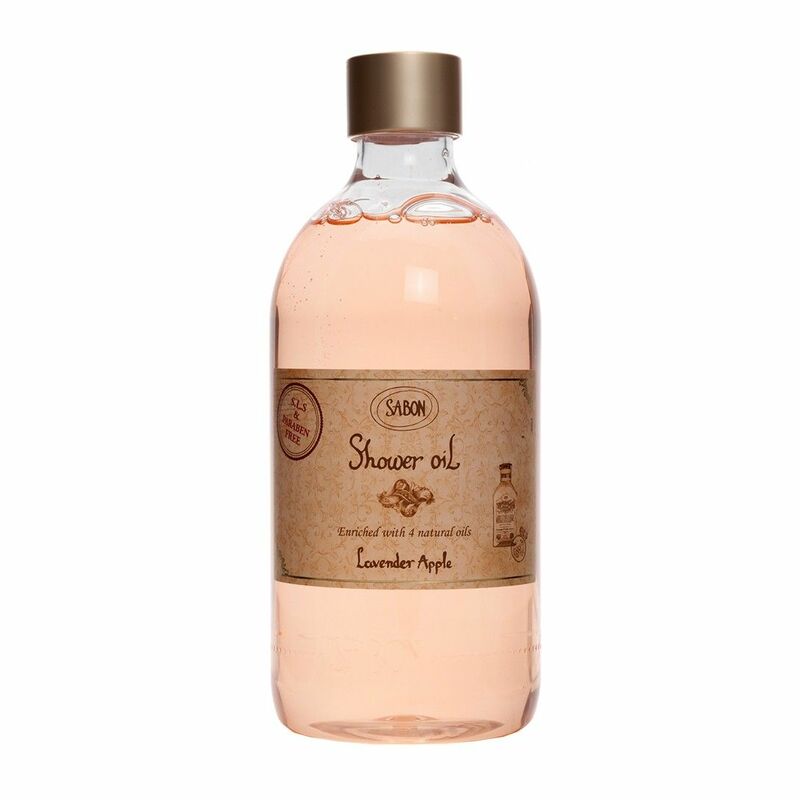 This fruity and floral shower oil hydrates, relaxes and invigorates in one simple step. Features a floral and fruity Lavender Apple scent. Enriched with vitamins A and D as well as omega 3, 6, 7 and 9 fatty acids. Contains hydrating avocado, jojoba, olive and wheat germ essential oils. Packaged in a plastic bottle with an included pump.